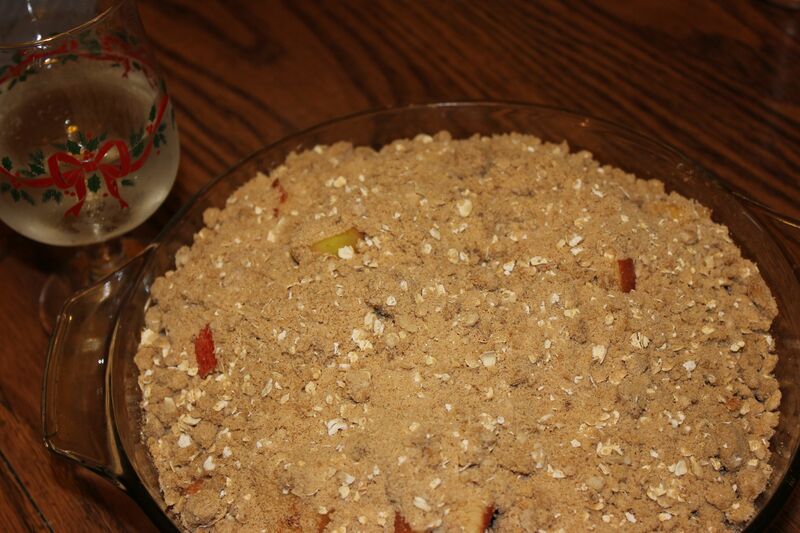 I used to make an apple crumb pie for Thanksgiving. It was good, but I don’t really like to mess around with real pie crusts so I always just bought a frozen crust. That was probably the downfall of my pie. 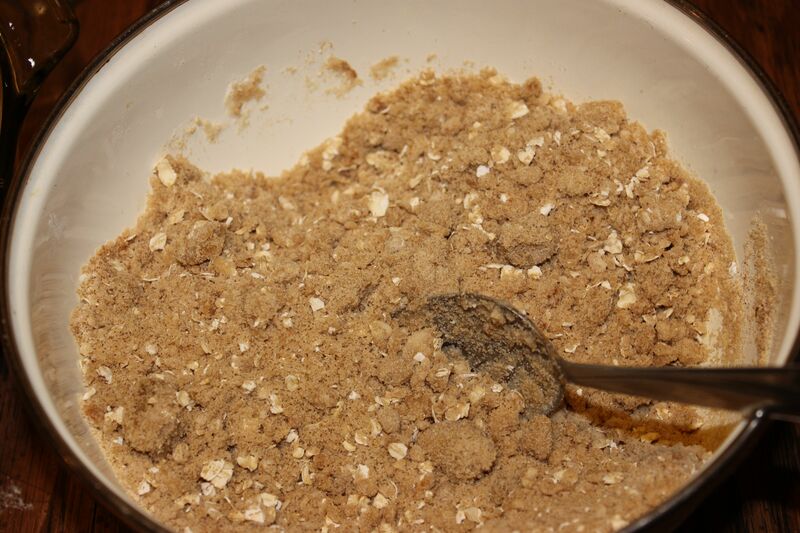 Then one magical day, I discovered the world of making apple crisp. Ok, so someone else actually made it and I was so enamored that I had to have the recipe. 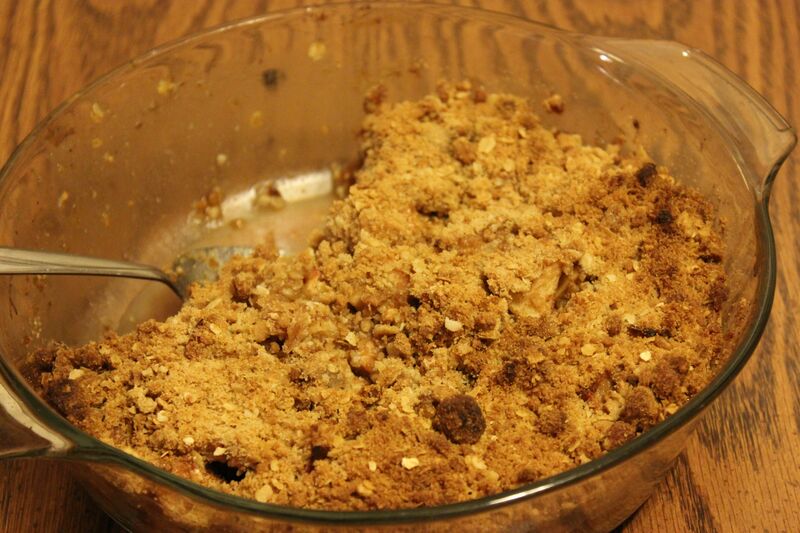 She obliged and now it’s one of my favorite fall and winter desserts to make. I’ve changed up the recipe a bit to add more spice of course. 5 – 6 Medium to large apples – I like to use sweet apples like Gala, Braeburn, Jonagold, Cameo, Fuji, etc. Chop apples. Peel them if you like, but I like to leave the peels on. 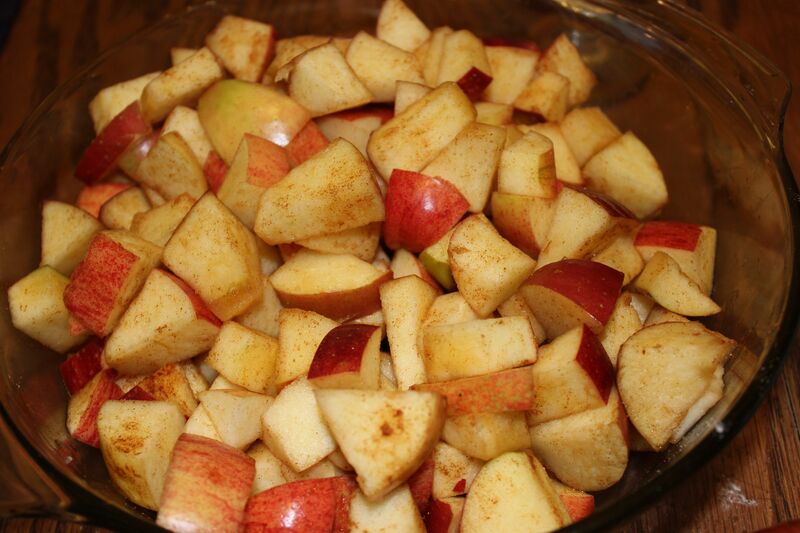 Place in a baking dish and toss with water, cinnamon and ginger. Combine topping ingredients. Stir together by hand until combined. No mixer required. Spread topping on top of apples. Bake at 350 for 45 minutes or until apples are soft. Hard apple cider in a Christmas glass is optional, but highly recommended for the cook. It was so good I didn’t even get a picture of it before it was partially eaten.